Preheat your oven according to the pizza crust package directions. In a medium-sized bowl, combine the zucchini, olive oil, garlic, lemon zest and salt and pepper. Toss to combine well. Dollop the ricotta cheese around the pizza crust and spread it out slightly. 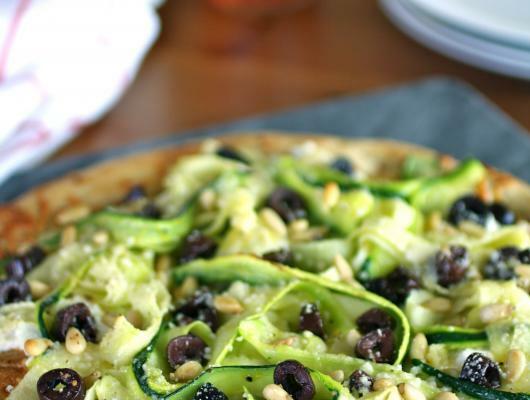 Mound the zucchini over the cheese, then sprinkle the olives evenly over the zucchini. Sprinkle on the pine nuts, then the Parmesan cheese. Bake according to the pizza crust instructions. The cheese should be slightly melted and the crust crispy. One of the great things about pizza is that you can use so many different ingredients and it still turns out to be a crowd pleaser. 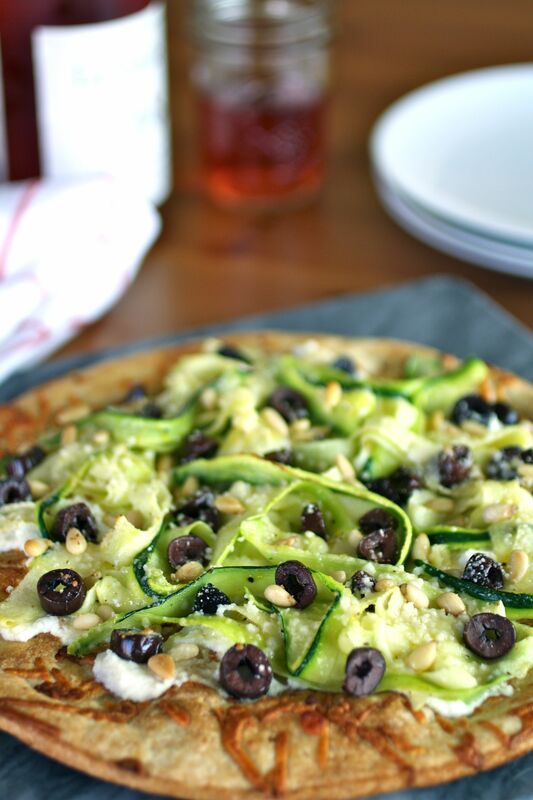 I've never thought about adding zucchini to pizza but this version is amazing! Light, tasty and pretty!